Varna, Bulgaria - 28 Ovcho Pole Str. 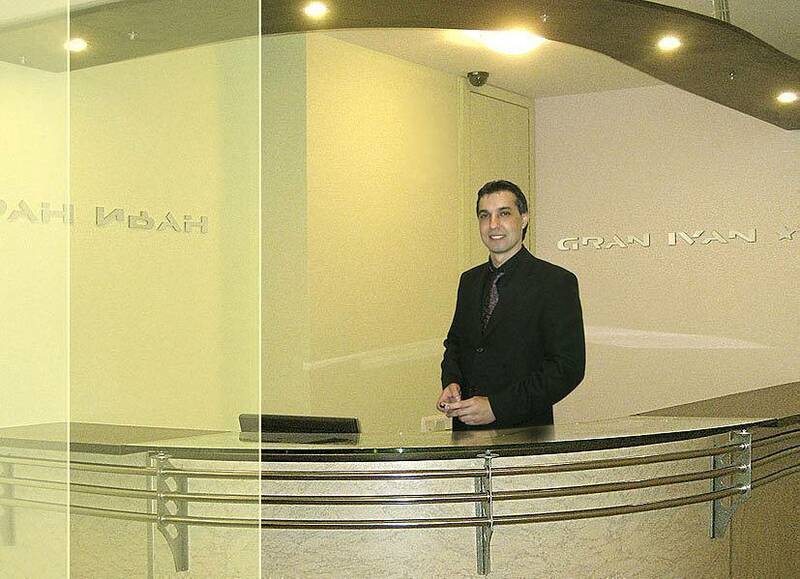 The Family Hotel Gran Ivan is situated near the center of Varna and close to the Bus station. Its position matches the city communications with the quietness of a by-street. The hotel disposes of 4 single, 8 double rooms, 4 studios and 4 apartments. The furniture is of different styles and meets the individual preferences of its guests, providing for diversity at multiple visits. The hotel offers the following facilities: breakfast, a private parking under guard, central heating and ventilation, air conditioner, cable TV, phone line, Internet in each room, a bathroom with a WC and a bidet, a terrace, hydro-massage tubs and kitchens in the apartments.